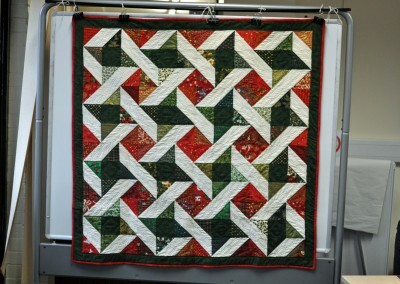 This was an interesting and rewarding group project! 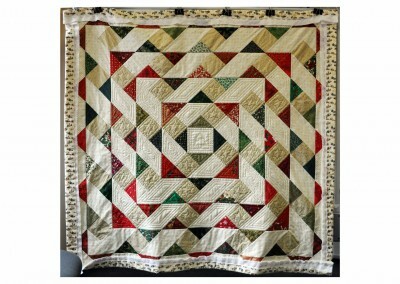 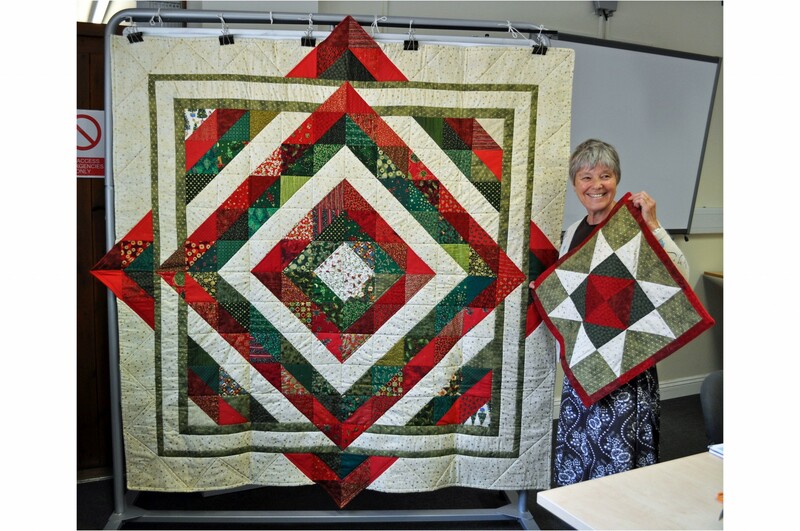 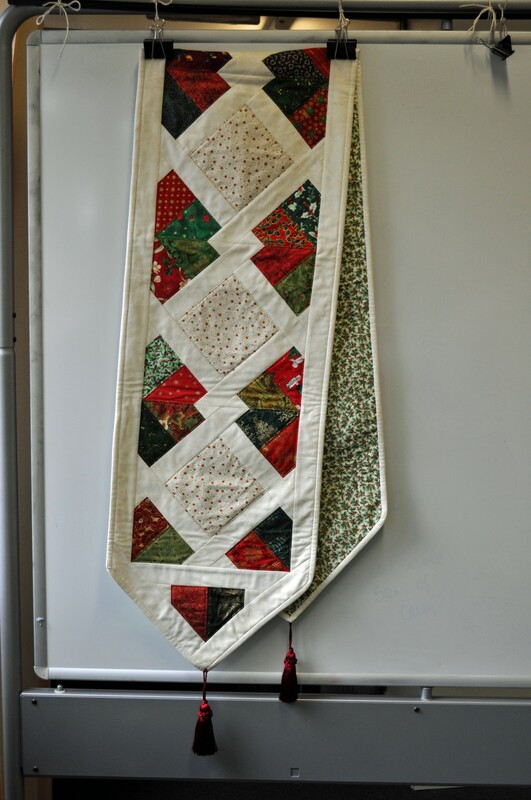 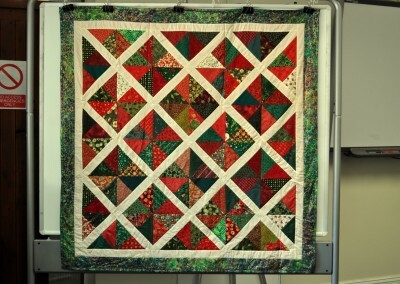 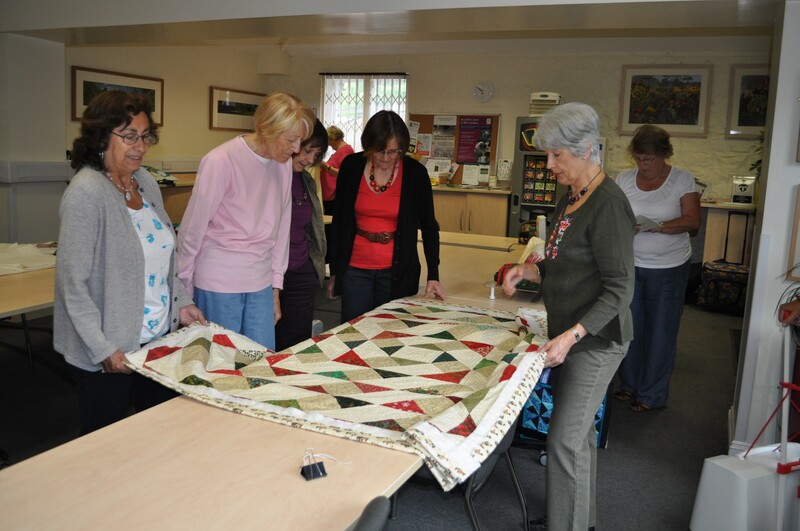 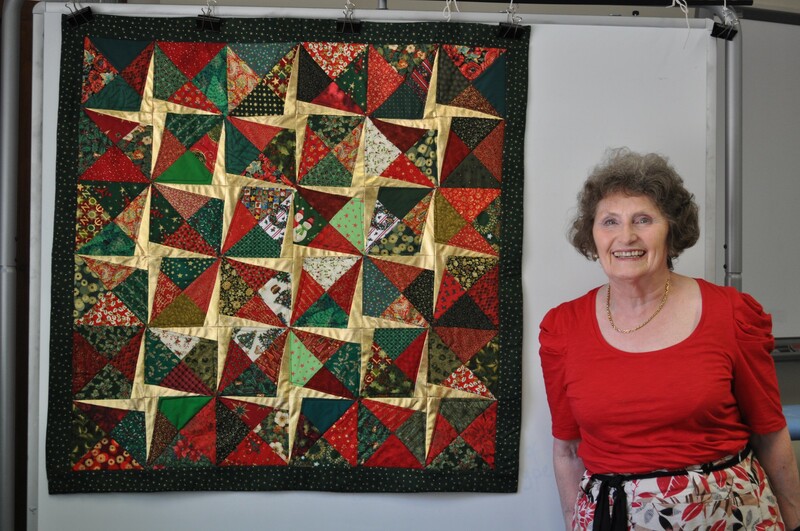 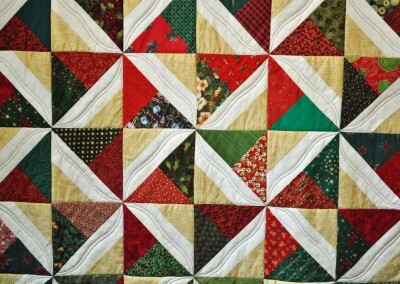 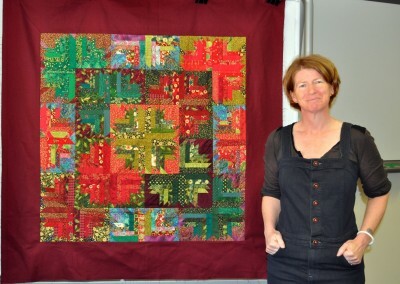 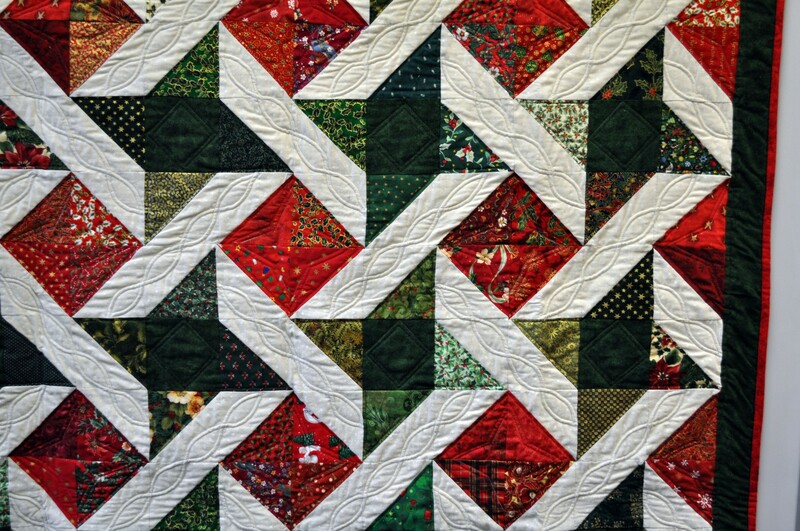 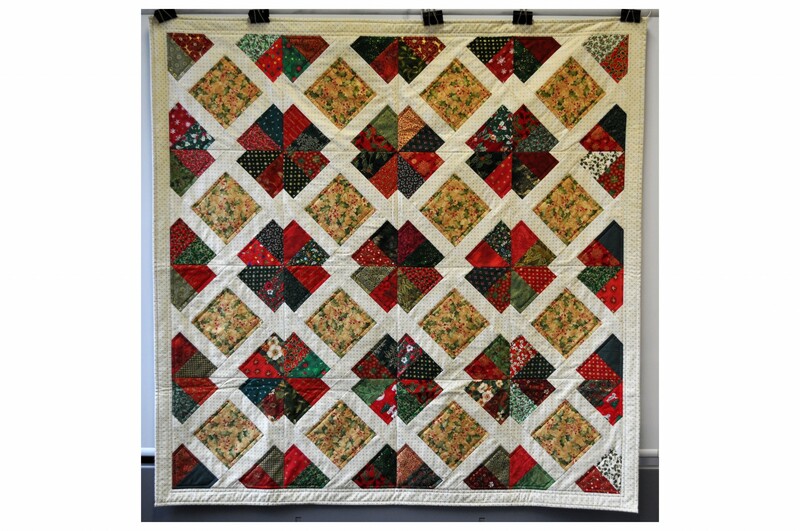 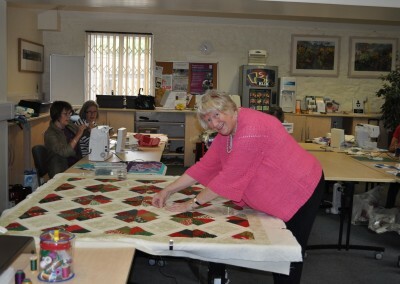 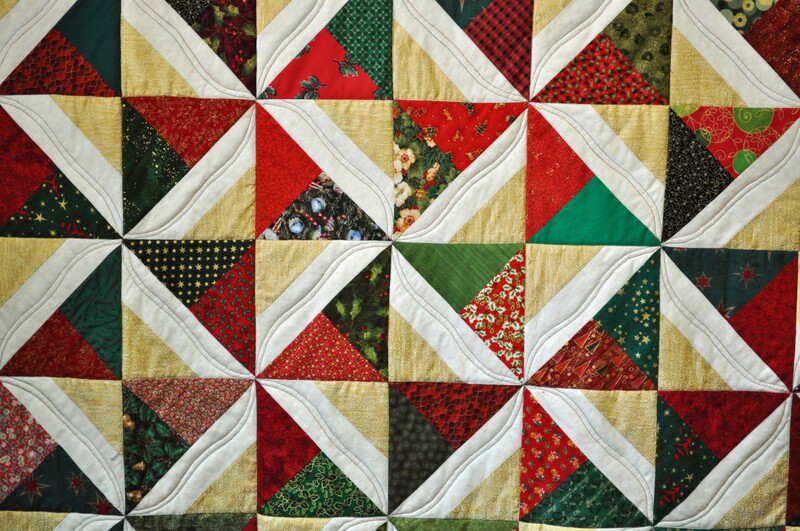 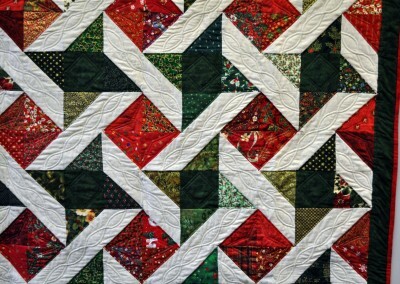 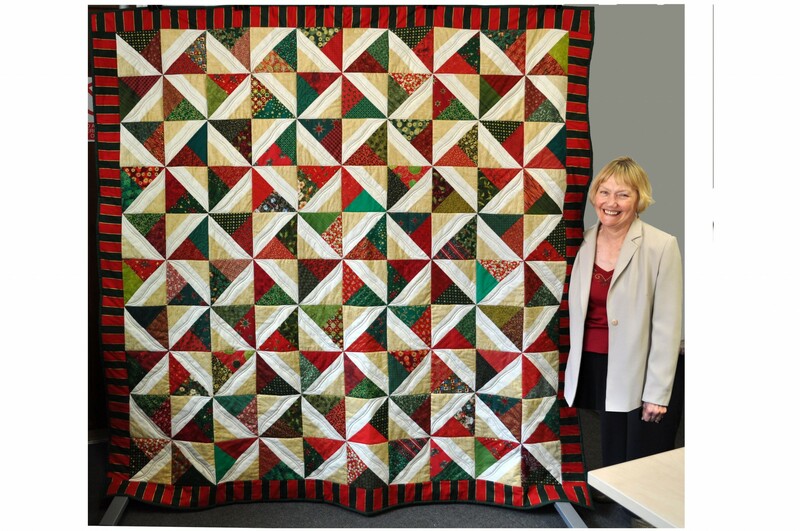 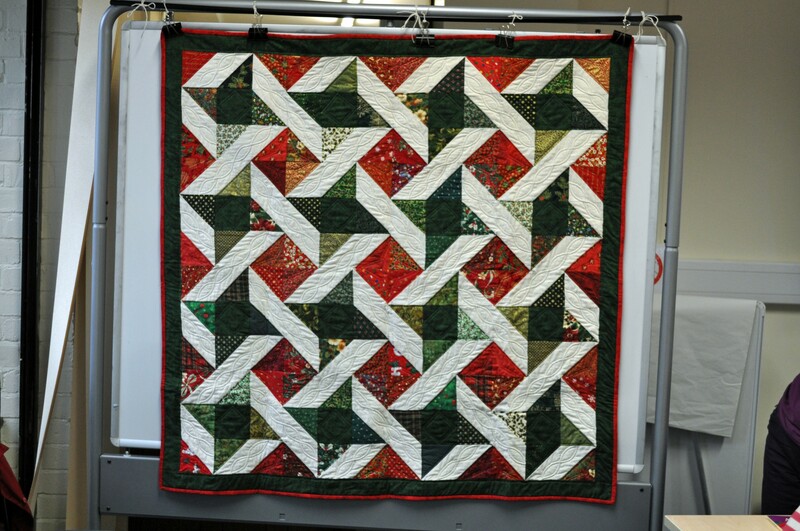 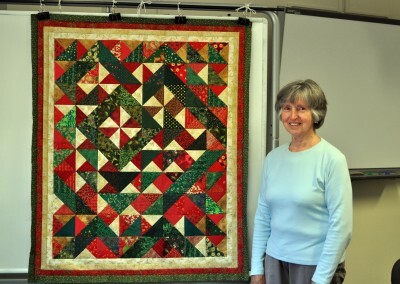 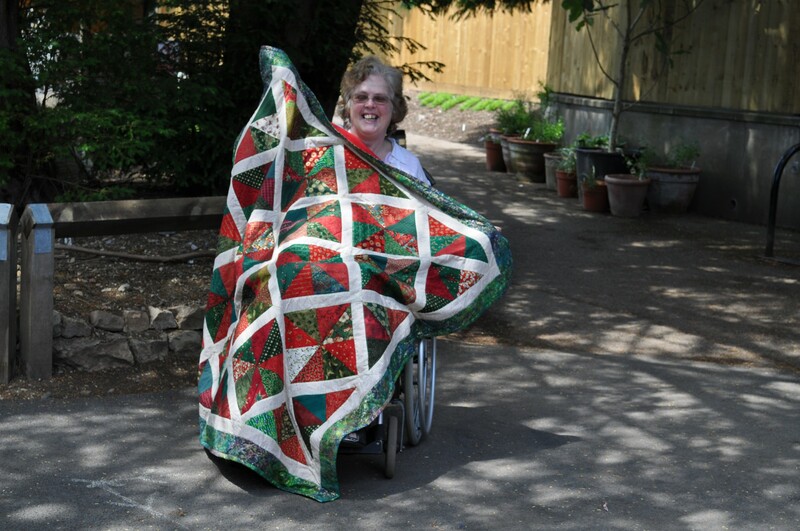 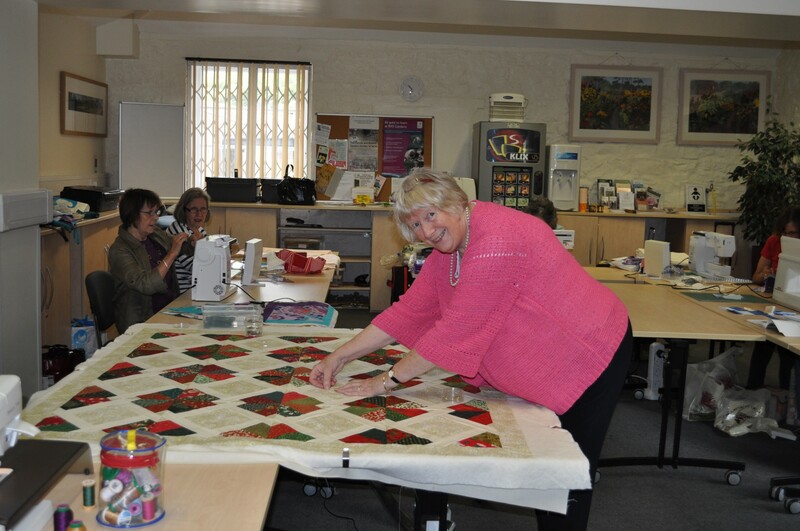 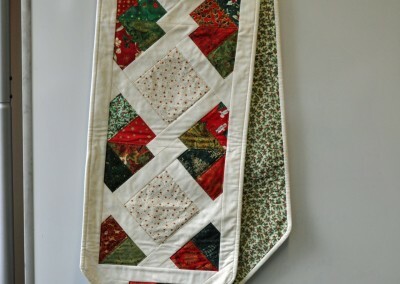 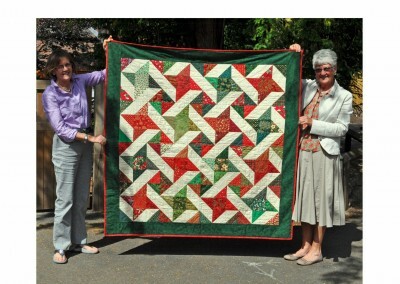 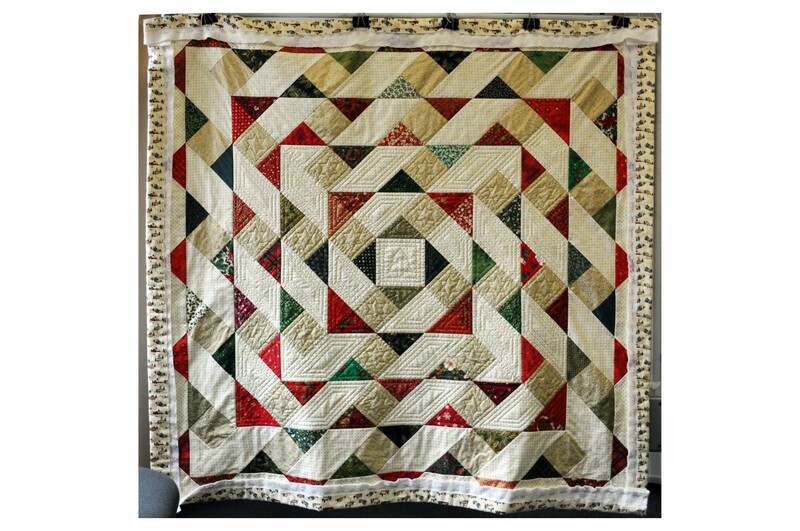 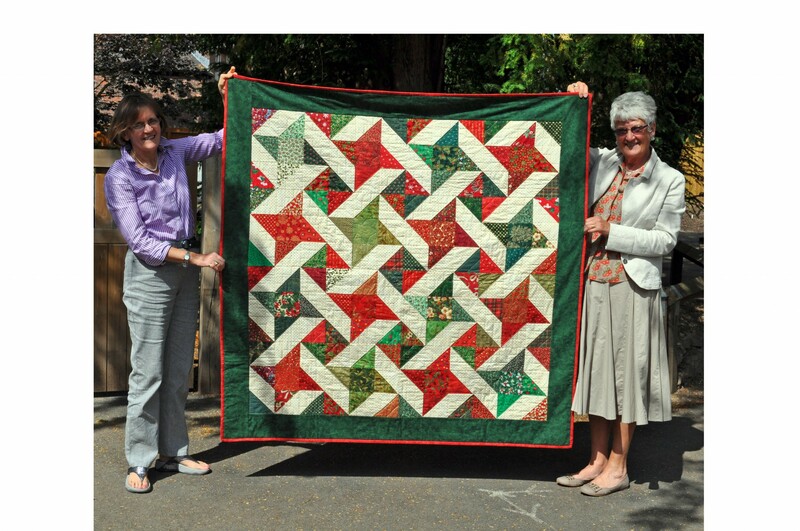 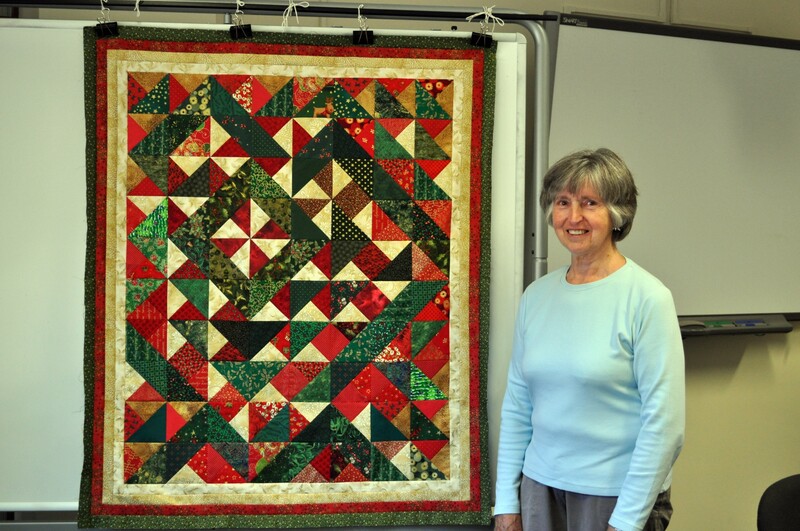 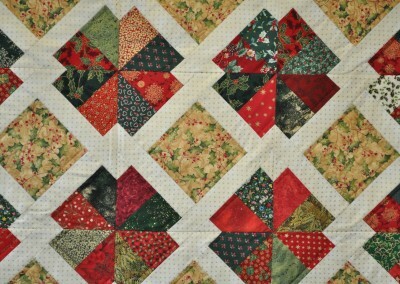 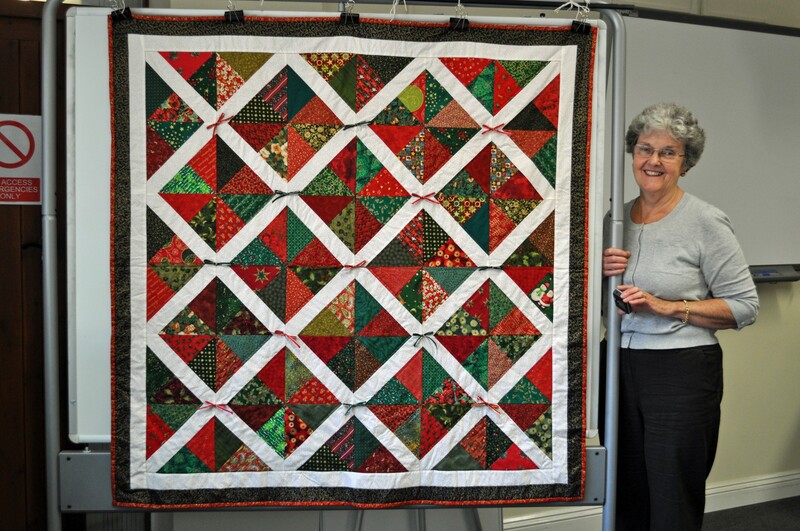 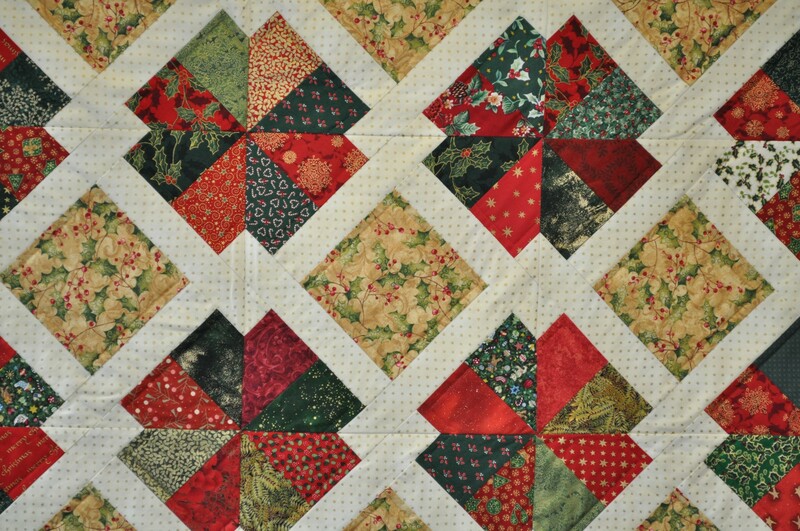 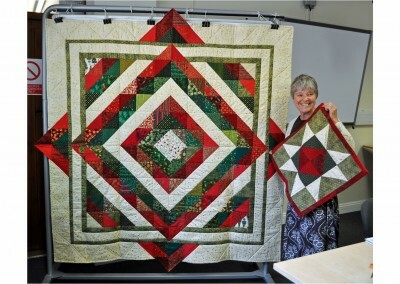 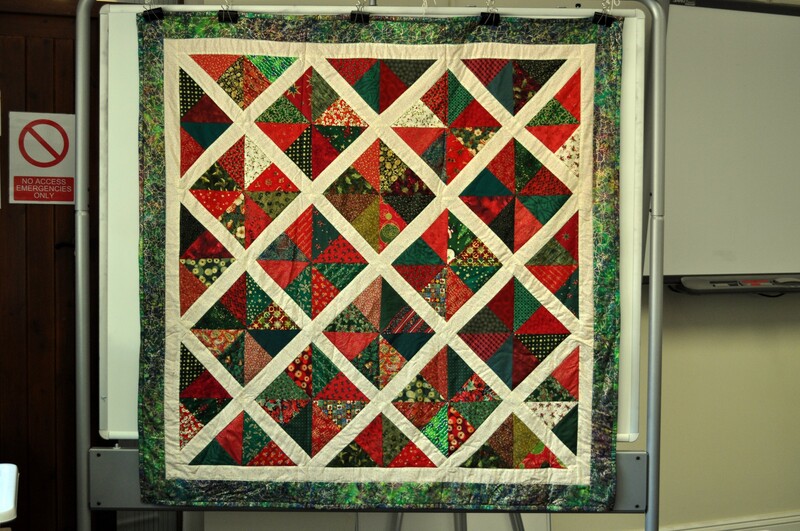 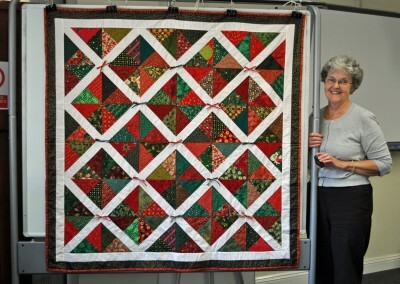 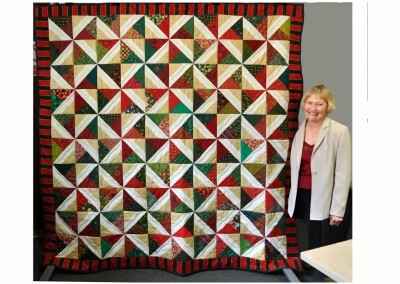 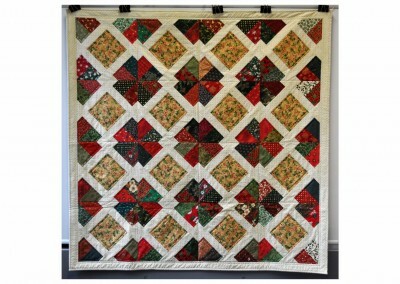 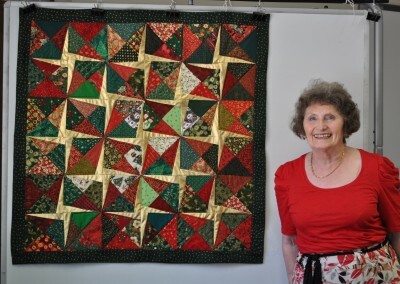 Each person bought 4 fat quarters in Christmas fabric and cut them into triangles which were shared between the group. 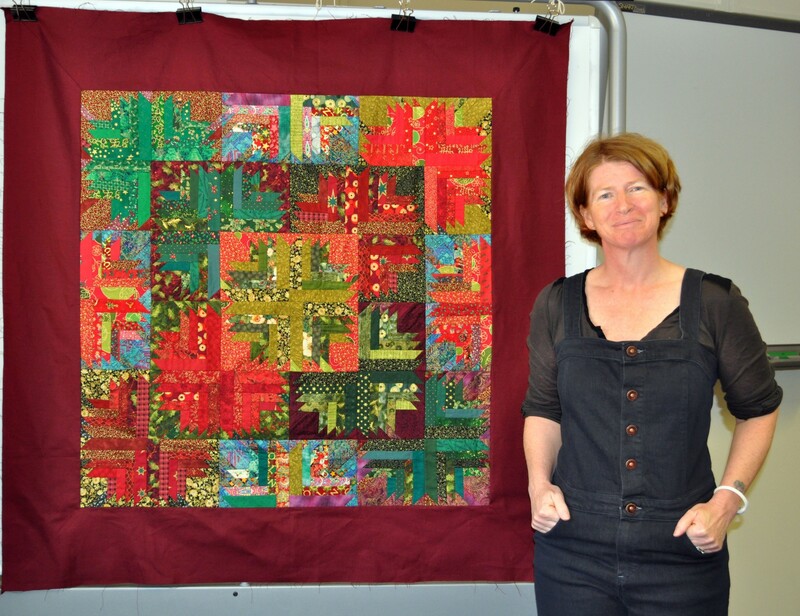 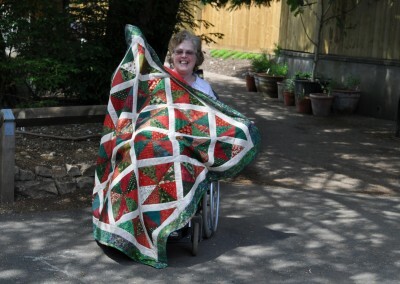 They then made them into a quilt of their choice using either a tradional pattern, one of my designs or one of their own!